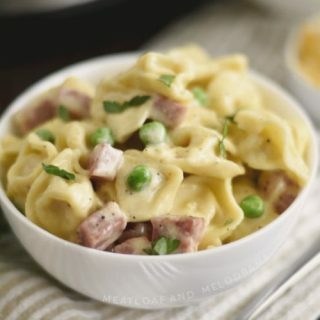 Creamy Instant Pot Ham and Cheese Tortellini with leftover ham is a quick and easy recipe that’s ready in 30 minutes and has almost no prep work! 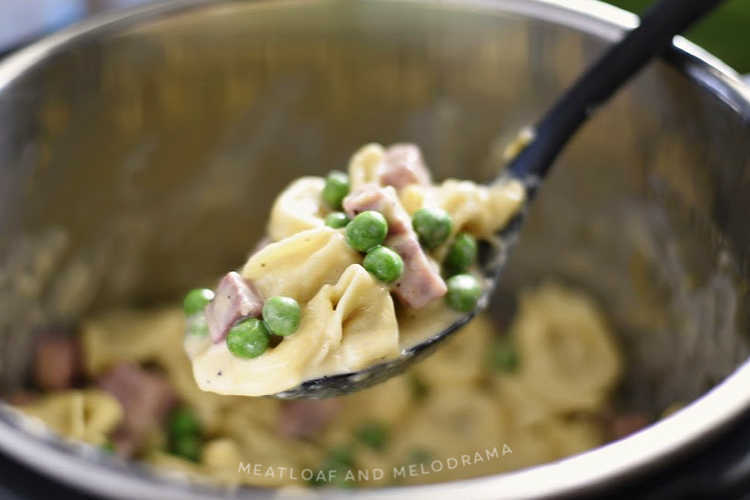 Creamy Instant Pot ham and cheese tortellini with peas is a super quick and easy dinner that you make with leftover ham and just a few other ingredients. 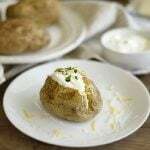 If you’re looking for a simple dump and start Instant Pot recipe that’s easy enough for beginners, you’ll want to try this one! 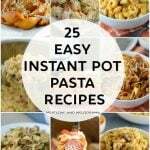 Some of my favorite Instant Pot recipes are ones where you just throw everything into the pot and press start. 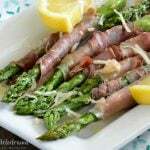 I’m all about quick and easy dinner recipes, and it really doesn’t get much easier than this. 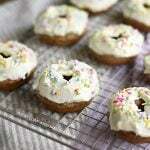 My family loves tortellini, so I have several tortellini recipes on the blog. Actually, my one pot tortellini and leftover ham recipe was the inspiration for this one. 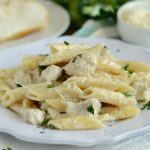 It’s Italian inspired and kind of like ham tortellini Alfredo. 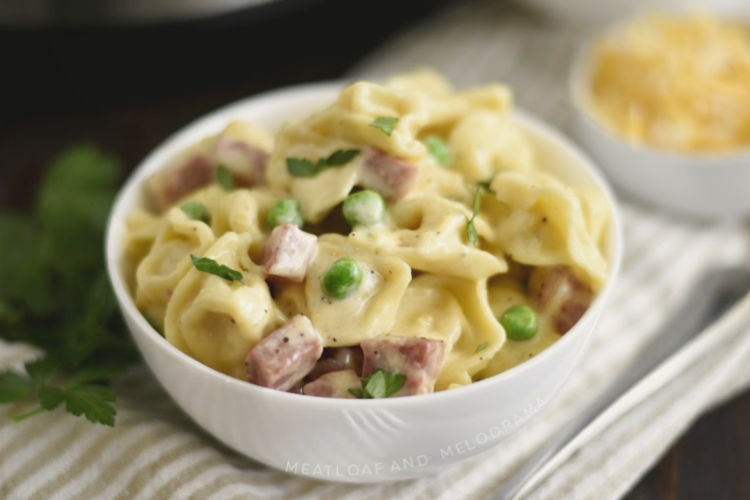 But, when I started making this ham and cheese tortellini in the Instant Pot, it just sort of turned into more of a mac and cheese recipe. It’s basically leftover ham and pasta in a creamy cheese sauce. 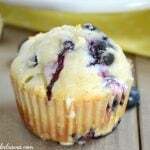 Oh, you guys — it’s so dang good! 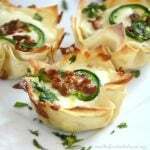 Ham and cheese tortellini is a great way to use up leftover cooked ham. If you don’t have leftover ham, you can buy ham at the deli counter and have them slice it into thick cubes. 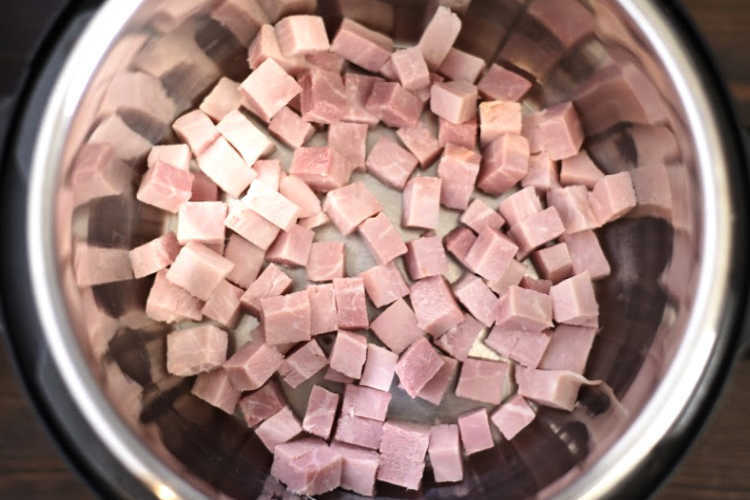 Just add the cubed ham to your Instant Pot. Then, pour uncooked tortellini on top, and add some water and spices. Since ham has plenty of salt, I only added 1/2 a teaspoon here. You can leave it out completely if you want. After pressure cooking, stir in some frozen peas, a touch of Dijon mustard, heavy cream and cheese. I used colby jack and a little bit of Parm here. The sauce looks thin at first, but it thickens up as the tortellini cools down. 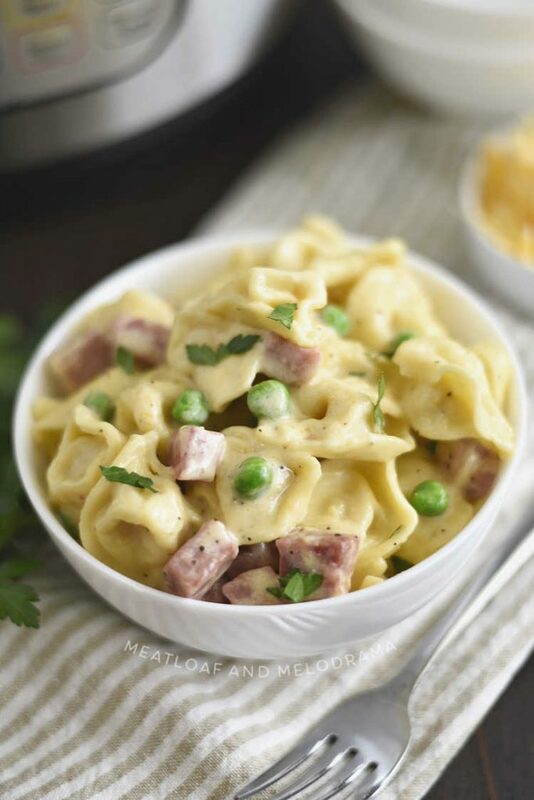 And that’s all you need to make this easy, creamy, cheesy Instant Pot ham and cheese tortellini! 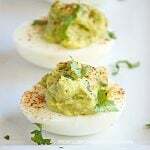 It takes about 30 minutes to make, so it’s perfect for a quick lunch or dinner. Did I mention that it’s super kid friendly? 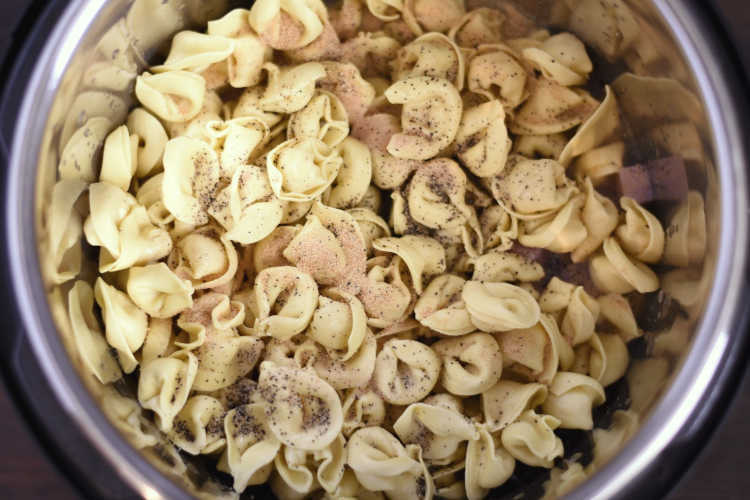 Even my picky eaters ate this tortellini right up! 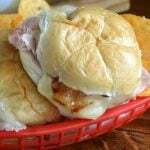 Generally, you want to use up cooked leftover ham within 3 to 5 days. Absolutely! Just put your leftover ham into freezer bags or airtight freezer-safe containers for best results. 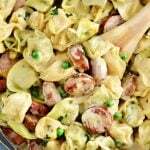 Make sure you use large 20-ounce package of refrigerated tortellini or 2 smaller packages. I used Buitoni brand here. 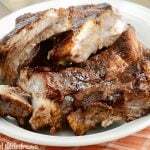 Recipe was made in a 6 quart Instant Pot pressure cooker. 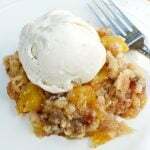 You can use an 8 quart without changing ingredient amounts. Add more cheese for a thicker sauce. 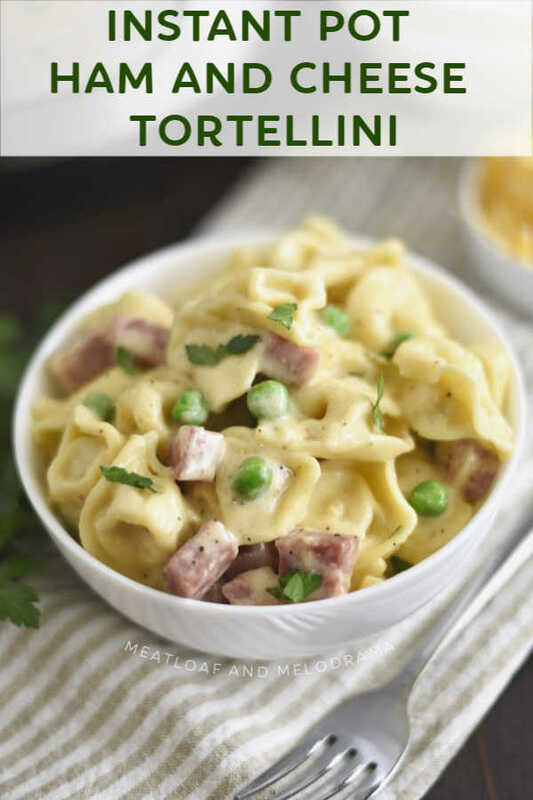 I hope you enjoy this easy Instant Pot leftover ham and cheese tortellini recipe as much as we do! Looks fantastic! 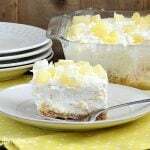 This is perfect specially when we need something quick and easy dinner, need to make this! 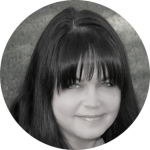 Thanks so much, Melanie. It’s super quick! Just what we needed to warm up on a chilly day! 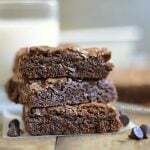 Tasty and comforting – yum! Thanks, Allison. It’s very comforting — glad you liked it! I love how creamy it looks! Can’t wait to try it! 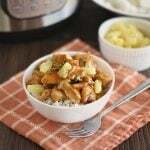 How easy is this in the instant pot??? I love it!!! 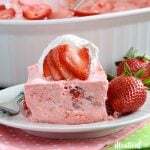 This is my new favorite dish! 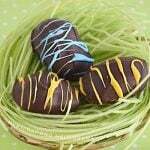 Creamy and flavorful! I love these tortellini! 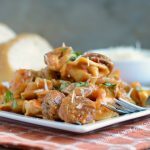 My kiddos love tortellini and I love my instant pot. It’s a match made in heaven! Made this for dinner last night. Another winner with the kids! So happy your family likes it, James! 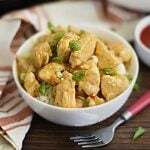 This is a great recipe for the Instant Pot! Hope you are having a good week and staying warm. Thanks so much for sharing with us at Full Plate Thursday! 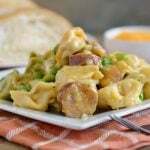 Should you use refrigerated tortellini or frozen for this recipe? I use refrigerated tortellini — Buitoni brand — but any brand is fine. Thanks! Also, am I not reading the recipe correctly? It lists Dijon mustard as an ingredient, but it’s never mentioned in the steps. I assume it goes in after the tortellini is cooked?